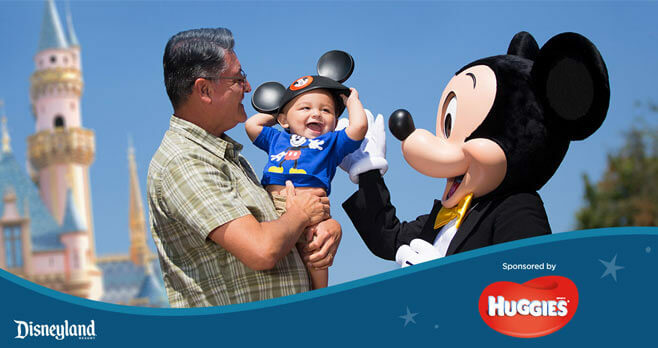 Visit magicalgetawaygiveaway.com now through July 28 and enter the Huggies Magical Getaway Giveaway daily for your chance to win a vacation for 4 to Disneyland Resort from Huggies. Plus, you could instantly win Disney Gift Cards, movie ticket prize codes, and Disney Stickers. Ends: Ends on July 28, 2018 at 11:59 p.m. ET. Prizes: The grand prize winner will receive a 3-Day/2-Night vacation package for themselves and up to 3 guests to the Disneyland Resort in Anaheim, California valued at $11,968.00. A few other lucky winners will get $100 Disney Gift Cards, $30 Atom Movie tickets, or Disney stickers. Eligibility: The Huggies Magical Getaway Giveaway is open only to legal residents of Alaska, Arkansas, Arizona, California, Colorado, Connecticut, District of Columbia, Delaware, Florida, Hawaii, Idaho, Illinois, Indiana, Iowa, Louisiana, Maine, Maryland, Massachusetts, Montana, Nebraska, New Hampshire, New Jersey, New Mexico, New York, Nevada, North Dakota, Oregon, Pennsylvania, Rhode Island, South Dakota, Texas, Utah, Virginia, Washington and Wyoming who are at least 18 years old at the time of entry and entries originating from any other jurisdiction are not eligible for entry.